Are you running a perfectly working version of Windows 7 but want to have Windows 10 running on your PC to? Here’s how to create that dual boot setup. Part of my job as a technology enthusiast, system administrator, PC Technician is to try out new stuff. Of course, it’s difficult for me when I have a setup that works great and I don’t want to mess with it. One of the chores of trying out new stuff such as pre-release programs or a new operating system is setting up and reconfiguring things. The Windows 10 Preview Program is a perfect example of this. Like many in October 2014, I was excited to try out the latest version, but I only had one working system at the time and I did not want to replace my Windows 7 installation. So what was I to do? Dual boot of course! Dual boot is a configuration where you can have two or more operating systems installed on your computer. If you would rather not replace your current version of Windows with say Windows 10, you can set up a dual boot configuration. All that is required is the creation of a partition or availability of a spare hard disk ready where you can install it. The benefits of setting up a dual boot configuration on a physical partition or hard disk versus a Virtual Machine include full access to the hardware, which includes memory, graphics and input/output performance of the local disk. You also get the ability to fully experience all features of the operating system that are not accessible in a virtual environment. The biggest benefit is, you don’t lose your other installation of Windows and you can reboot into it at any time. It’s great for a test run or a transition while migrating from an older version of Windows. When making significant changes to your computer such as an upgrade or dual boot, it is always recommended you backup your system prior to installing a new version of Windows. Check out the following article how to back up your data. You should also create a system image which is a complete backup of your system which you can easily and quickly restore to its original state. I personally recommend system images because Windows 10 makes your recovery partition inoperable after upgrading and the new rollback option does not work after 30 days. 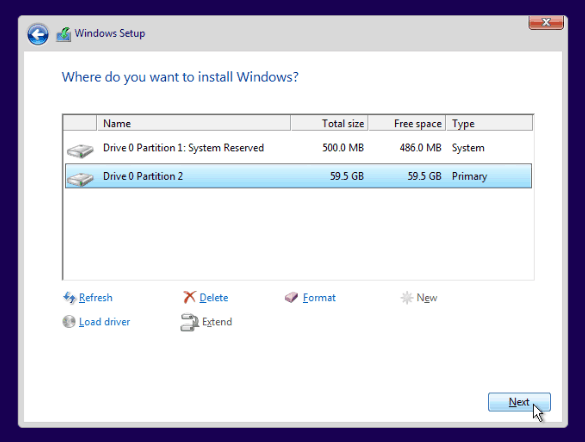 We showed you how to create a simple logical partition in Windows for setting up a dual-boot configuration. If you’re running Windows 8 or later, press Windows key + X > Disk Management. If your system is running Windows XP and it’s capable, then you are good to go. 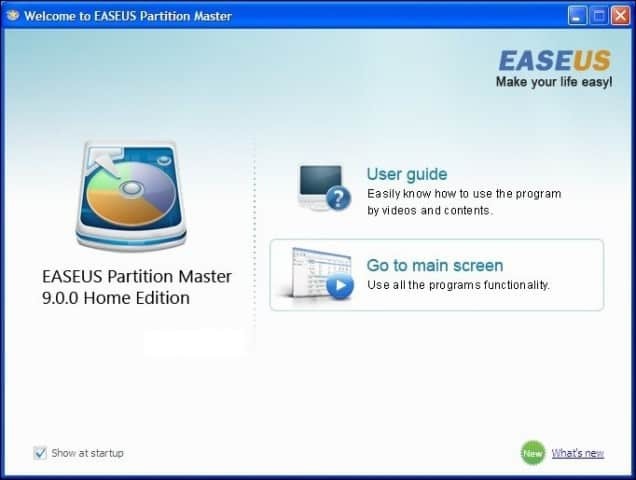 Because the partitioning tools in Windows XP are quite primitive, I personally use a third-party solution called Easeus Partition Master Home edition. It’s a free download and is very easy to use, in addition to being non-destructive. 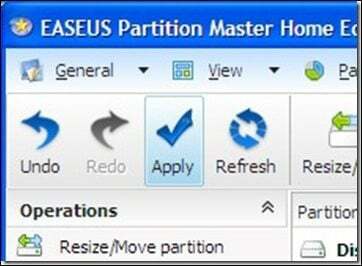 Easeus, I also found out, is great if you have problems creating partitions in Windows Vista or later. After you have it installed, select Go to the main screen. Then select the drive you want to resize in the partition window. Select the amount of disk space to install Windows 10. In the above screenshot, I have allocated 30 GB of disk space. Click the Apply for the changes you just made and complete the verification messages that follow. Your computer will restart a few times and changes will be made to the partition layout, this process is hands-free, so no interaction is required. 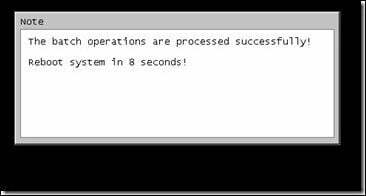 Be careful what you are doing if you come across this error message. I encountered this error last year when I was setting up partitions in anticipation of the Windows 10. I tried both shrinking an existing partition and using a third party partitioning tool. I gave it a try and it made the system not able to boot. Luckily, I had a system image. One of these partitions will need to be sacrificed in order to facilitate shrinking Local Disk C:\ where Windows is installed to create a logical volume with enough disk space to accommodate Windows 10. I have a partition layout showing five separate partitions (why the manufacturer HP did this? I don’t know). One of these partitions turned out to be unnecessary, in this case, the Tools partition which turns out to be blank. As long as you do not disturb the system partition, Local disk, and recovery partitions, everything should be ok.
Right-click the Tools partition and click Delete Volume. Note: This might be different on your system make sure you observe carefully what you are doing. The volume will now appear as Unallocated. The next step is to merge that unallocated free space with the partition to the left of it. Right-click the volume and click the ‘Extend Volume’ option on the contextual menu, click ‘Yes’ when the warning appears. A wizard will start and guide through the steps to merge back the unallocated space with your system partition. The wizard provides a simple procedure to merge the unallocated space. Once you have selected the space, click Next, at the end of the wizard, you will see the amount allocated. You can then go ahead and shrink C:\ Local disk to create enough space for your Windows 10 installation. If you are using Windows 10 32-bit, you can allocate 16 GB or 20 GB if you using the 64-bit version. Another factor is disk space for applications, page file, drivers, accumulation of data over time, so make sure you consider these factors. My personal recommendation is to go with a minimum of 60 to 100 GB of space for Windows 10 testing. If you would like to evaluate Windows 10, you can download a free 90-day trial copy here. Please note, you won’t be able to migrate from the trial version of Windows 10 Enterprise to a commercial edition such as Windows 10 Home or Pro. If already have ISO media for those editions, you can use it. See instructions for burning ISO files in Windows 7 or later. 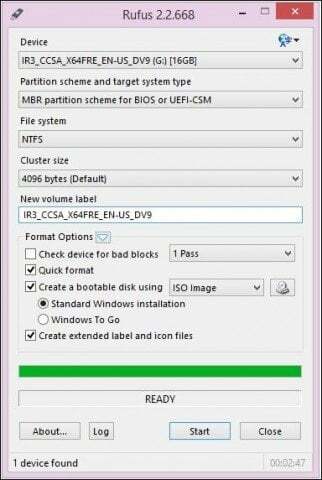 If your computer is UEFI based, these are normally systems that come pre-loaded with Windows 8 or later, you’ll need to prepare the ISO file for such a configuration or you will receive an error message during setup. The thumb drive needs to be formatted as FAT32 and use the GPT partitioning scheme. To do this, you need to use Rufus, a small tool you can download for free. The following describes the standard way to start the installation, especially if you are dual booting a 64-bit version of Windows 10 alongside a 32-bit version of Windows. 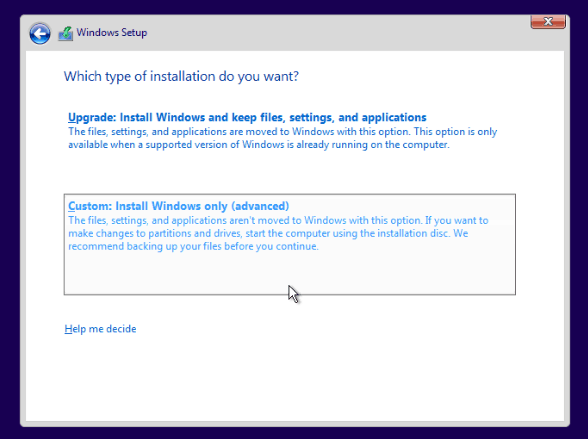 Another way is to start the installation from within a running version Windows and select the partition where you would like to install Windows 10. See below for further instructions on how to do so. Click here for instructions on how to load your BIOS options to boot from a DVD or thumb drive. When you arrive at this screen, click Custom install Windows only (advanced). Select the partition click Next and wait while Windows installs. Please note, this only works for Windows 7 and Windows 8/8.1. Open the Sources folder. Then double-click the Setup.exe file. 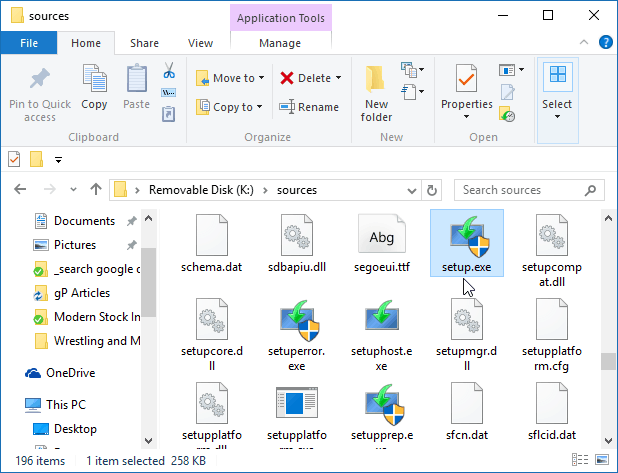 There are multiple files listed with the setup in the name, so make sure to select the one with only setup. Then go through the installation process. 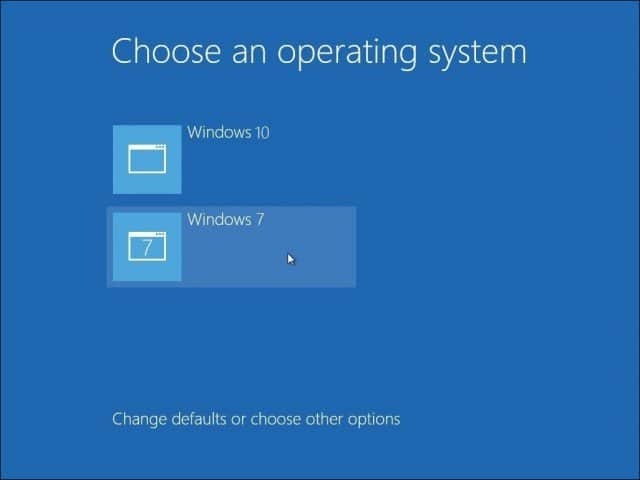 When you have finally set up Windows 10 on your system, each time you start your computer, you will be given the option to choose which operating system you would like to Start. If you no longer want to keep your dual boot setup, read our article on how to remove a dual boot configuration. Andre – Should I go Virtual or dual-boot? Your article above is great, but I am still a bit concerned about hardware support for older OS’s. I have some old programs that will not run under Win 7 or newer, and some that will not work under a 64-bit OS. I am running Win 10-64 on an I7 system with 12 GB of RAM. I am looking at either setting up virtual machines or a multi-boot scenario where I can go into Win 98 SE, Win XP, Win 7, and Win 8.1 (8.1 I only need so I can help others if they are still running it). All of these will be running only the programs that cannot be run under a newer OS and so should be minimal installs. My concern is which option will require the least work installing old drivers and leave a decent amount of RAM (8GB min) for Win 10? I am OK with only running one OS at a time, but I do use a lot of my RAM in Win 10 when running Skyrim and Fallout – NV and soon 4. I am using an Asus AMD R9-380 based video board with 4GB VRAM onboard. Boot HDD is a Mirrored set of 1TB matched drives with Intel management. It has 500 GB free. I also have a second solitary internal drive with 800 GB free. Both are backed up to the cloud and to a USB attached 3 TB drive with a bit over 1TB still free. All suggestions appreciated. hi, thanks for what seems to be a great walk through. could you tell me if it is possible to keep my windows 7ultimate and b able to download the free windows 10 update to use as multi boot? also I would like to be able to have android x86 6.0 marshmallow in with the multi boot which I already have the iso for. is it possible to have all 3 in the multi boot? Yes, great article. The example of-course shows you how to get your Windows 10 license WITHOUT losing your Windows 7 install. There is much discussion to be had about whether MS allows you to do this – have a Windows 10 install AND KEEP the original install – but what is clear with a multi-boot is that you cannot run both AT THE SAME TIME so I’d say give it a go – especially if you require to keep your Windows 7 install for some reason. There are 2 ways to achieve this with the current Windows 10 installation mechanism. 2. After you’ve created your new blank partition perform an IMAGE COPY of your current 7 install to the new partition. Then install easybcd which lets you set up your multiboot. Run easybcd and define 2 OS as a. your original 7 and b. your new “copy of 7” – you will need to specify the new partition drive letter. Reboot and test that the orignal 7 works. When you boot “copy of 7” you will find that the drive letters are wrong. You will need to rename the “copy of C” partition from its new drive letter to C: (you may need to rename C: first to “get it out of the way”) This drive letter renaming does NOT affect your original 7 installation. The minor tricky bit is the drive letter renaming but microsoft tells you how to do this here. Sorry – I missed the last step out of the second option – perform a Windows 10 upgrade of one of the 7 installs! Very major problems not with the initial issue of Win10, but with the November 15 upgrade which totalled two 500gig hard drives and is still causing problems as I try to re-load Win10(for about the 3rd/4th time). I’m using an MSI motherboard and two 500gig hard drives, Intel processer running at 3.1ghz, hard drives each partitioned into three, one for opsys, one for my music and the third for backups etc. Each partition about 160gig. The choice as to which drive was accessed is/was controlled by the bios by selecting the bootable drive just before bios post completes. One H/D had win7 and the other did have Win7 but was used to download the free Win10 upgrade, which downloaded fine in September 15 but when the Nov update of win10 was issued it got to the switch off/switch on part and then…nothing, but even worse both drives were corrupted, neither would boot up. 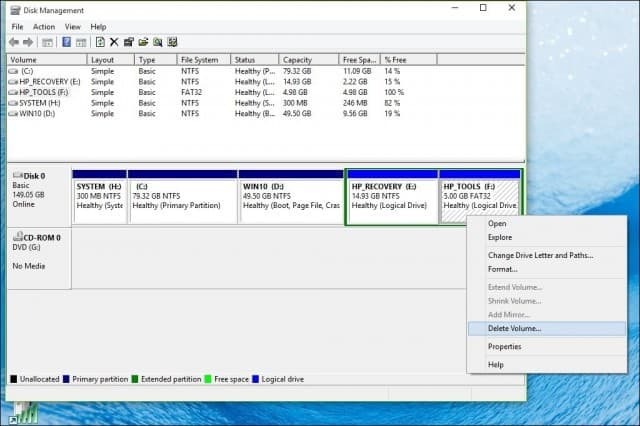 Both drives were fitted to another computer in turn and the Opsys partition re-formatted as it appeared that the 100mb partition created by Win7 had been corrupted during the loading of the Win10 upgrade. Fortunately I keep all of my important items on an external drive. Incidentally, I fitted another 40gig totally empty drive, formatted but not used, now has a 100mb hidden partition; it looks like the Win10 prog has failed to find the bios on the 500gig drive and decided to try the empty 40gig drive. After my failed win10 reload, that drive now shows only 38gig and a hidden partition! Having recently reloaded Win7 to both drives, I disconnected the SATA cables to one and tried to re-load Win10 to the other(still 3 partitions, each about 160gig). It took 3 attempts to even get started, each time the load-up was so slow I gave up after about 10 hours on each occasion. Three days later I had success (now Yesterday-Friday), it loaded the base programme, but when it came to downloading win10 updates, yet again when it loaded about 80% it went thru an off/on but all I got at the “on” was a black screen with the 4-pane window in the middle, and a totally frozen screen. B. Caused by the 100mb opsys partition needing to be at least 500MB to allow room for all of the instruction necessary for Win10 to work. I have since burned an ISO file from my laptop, which already successfully runs win10, with the ISO file holding a down loaded installation win10 copy, however checking the error code pages(see above) more knowledgeable peeps than me all state that the ISO route to loading win10 will not work, if it cannot be loaded conventionally from the icon on the win7 prog(which of course it has not). To say the least it is very confusing!!!! I was of the opinion that Microsoft would not have knowingly issued such a bug infested product, especially after the problems caused by and found in win8, however it appears that MS is “using” its Forum members “experience” to find potential problems rather than doing the work themselves in de-bugging before a formal(or even) free issue. A good friend of mine, an IT Manager, once told me if someone tells you they are an “expert”, run a mile as they might be good at what the know but that does not mean they know a lot, and that, it seems to me is the problem Microsoft has created for themselves expecting “users” to de-bug for them. My own reading of a multitude of reviews and complaints is that Win10 is rapidly going the same route as Win8 went, causing users to get away from it as fast as possible. It is a pity, as the original issue of Win10(pre November upgrade) loaded fine on both my laptop and my present tower unit and it was only after down-loading the Nov upgrade that my problems really started, necessitating Win7 to be reloaded. Pre this upgrade, I still had my Sapphire/Radeon X1550 graphics card working on 10, if only by holding down the Win key during initial loading of the VGA front end(thus allowing my graphics card drivers to load in the “virtual Window”. Post Nov upgrade attempt,(and a reload of Win7), I got a message on-screen that this card was not compatible, but even after removing it, I still got a screen message saying the presence of the card was “preventing win10 to load”, ref a 16 Jan 2016 “computer review”. So yet again I re-formatted the opsys partition, reloaded Win7 and three days ago, after reverting to thebasic graphics on the motherboard, again attempted to install Win10. So here I am, at 3AM on Saturday morning, having just downloaded an ISO file etc. etc. as above. During Dec/Jan I have been on the phone numerous times to MS Tech Help, at least an hour or more per call, 6-8 calls, but absolutely no help at all from the “Techies in the Philippines or India. I have also posted on the Facebook Win10 page, but no replies, also Messaged an Alex at Microsoft, whose best advice was to contact the same Techies who did not know anything useful at all, other than “have you tried reloading the Win10 download? It appears that their response sheets have not yet been upgrade to cover this or any other error codes! I have been impressed by the advice you have been issuing to other users who have found problems loading Win10, but my simple question to you really is, ………. Is it likely that Microsoft will get their act together at some time in the future and get Win10 working, before its reputation goes the same way as Win8 did for laptops and tablets(as well as desktops). My apology to you, if for no other reason that I have rambled on, but the reason was to show that I have literally got to the end of the line with Win 10……..its great on my laptop, works a treat! but just does not hack it at all on the majority of desktops and even mid range computers, let alone hi-end ones. Sorry for your inconvenience. I am trying to get a better understanding of your problem, so I am reading your post a couple more times to see what are the best options for your current situation. The first thing I would recommend you do is start a new post on our forums, since that would be the best medium to get not only my help, but also fellow minds to help tackle the problem. This might sound like the same response, but what I have noticed is, Windows setup tends to have issues with multiple drives. My recommendation is to disconnect all drives except the target hard disk before starting setup. Try making the system as bare bones as possible since this will give Windows 10 setup less work to try and detect hardware. Also, try reducing the amount of memory to a single stick. You can always reinstall the rest and any additional hardware after Windows setup completes successfully. If your board supports integrated graphics, remove the discrete card and connect your monitor to the onboard graphics instead. If you are using a UEFI based motherboard, I would recommend that you download the ISO file for Windows 10 November Update (you said you have done so) then use the free Rufus utility to a bootable copy. After you have your bootable copy ready, make sure the hard disk that will be the system drive is installed. Set your UEFI firmware to boot from the USB thumbdrive. Select each partition if any is listed, the click Delete until there is only a single unallocated drive. Windows 10 setup will create a single recovery partition. (avoid creating any partitions, do this after setup is complete though Disk Management). Do you have an article on how to make a Windows 10 computer dual bootable so I can install an older version of Windows on a Windows 10 system? That’s EXACTLY what I want to do as well. If this comment is posted…an easy way to create a dual-boot is to a. remove your windows 10 disk b. insert spare disk and install your “older version of Windows” c. put your windows 10 disk back in d. whichever system boots first run easyBCD and add the other OS under “Add New Entry”. You now have a dual boot. I want to do something similar – I have a Win. 10 laptop but need to boot to Win. XP to use software from my old computer. I made a bbotable clone of the XP HDD & put it in a USB enclosure. So I need to know how to boot XP from the USB HDD since it doesn’t do so as it should – BOIS has the “boot from USB” option. Any help greatly appreciated! I should also mention my cloning software had a note stating “Windows cannot boot from a USB connected drive. This is a restriction imposed by Windows.” I tried to verify the truth of this for Win. 10, but the MS tech just didn’t seem to be able to grasp what I was asking. “I made a bbotable clone of the XP HDD & put it in a USB enclosure.” You can boot from a USB flash drive (rather than enclosure); these are quite cheap now and I guess the XP boot partition is quite small. But there may be a better way. Assuming your computer is a laptop, does it have a DVD drive? If so, you can replace it with a SATA caddy containing the XP HDD. Thanks for mentioning a flash drive Ian because I didn’t think to mention I can’t even boot a Linux distro from a flash drive or a microSD card using an SDcard-to-USB converter, with this computer. I wasn’t aware of an SATA caddy that replaces a DVD drive, but don’t think I want the added expense, believing there’s a free way to achieve what I desire. I’m going to try Plop Boot Manager next. I cannot reply to your latest post for some reason. What exact model is your laptop? I’m sure the BIOS will allow booting from other sources. Probably a UEFI setting e.g. CSM needs to be enabled…e.g. Hey, Ian – still trying to get this to work. I have some new info to report. I AM able to boot a Linux distro on an SD card using an SD-to-USB converter, so that seems to refute what Macrium Reflect indicates – the BIOS nas Legacy boot enabled. I tried the plop boot mgr. & it seems to be unable to detect the bootable cloned HDD’s MBR. The clone was made from the orig. drive in a Dell laptop with I know has a proprietary MBR that uses an HDA. I now need to try to find out why the clone’s MBR doesn’t register on my HP Pavillion 17-g121wm laptop – the one I want to boot with Windows XP. This XP clone DOES boot correctly via USB plugged into the Dell with it’s int. HDD removed, so the mystery is why my HP laptop won’t boot from it. Just added a new SSD which I initialised as GPT and installed Win10 on it from ISO download on USB stick. It runs ok.
My Win7 install is still there untouched, but when I power up it goes straight to Win10 with no choice of Win7 which is what I am aiming for. If I select my Win7 disk in BIOS, CHKDSK runs and then I get to Win 7. What do I need to do to get a boot menu to select Win7 or 10? Hi Guys, Since my original post, I have since tried to load win10 in various ways, starting from a new 500gb drive my first try was to load win7, take up the free offer for win10 and proceed from there, however as I was doing this after the issue of the Nov 15 update, although it loaded the basic win10 program, when it came to load the update, it loaded to 80% and when it attempted to off/re-start, yes it failed, returning me to the original win7 prog. My next try was to create an ISO disc, start from a completely empty 500gb drive. This loaded up to the “enter product code” and although I had read articles that said the win7 code could be entered, it did not accept this and would not proceed beyond this point. My next try was to use a USB stick(8Gig) loaded an ISO folder ,but the same outcome. Lastly, I went back to the 500gig drive with win7 loaded, disabled all of the drivers not directly associated with Win7 and again tried a free upload. but again with the same outcome. A) contact our technical Help via their published number, but that only got me to an Philipino advisor, reading off of a prompt sheet who was no help at all, he was totally lost after my first question! B) suggested that I put a question onto the Win10 forum and “hope” that someone might help! This latter action remains as big a waste of time as A) above, it appears to me that the only advice there is from amateurs whose knowledge is still embedded in Xp. As I have previously posted, it appears that there is suspect code in the Win10 Nov 15 update which for their own reasons, Microsoft appear to be reluctant to admit. It appears to result in tower/desktop formats being susceptible, although it appears that (not all) laptops are less affected. My own intention is to leave win10 on my (Samsung R519) laptop, continue with win7(but only because Xp is no longer supported and is therefore more open to hacking), until Microsoft sorts themselves out and stops relying on beta users to “find” the flaws in their code for them. It is my belief that this will simply result in my previously willing MS users to move across to Apple, who at least appear to realise that it is in their own interest to fully develop their product before releasing it for general use. We all remember the fiasco with Win8 which Win10 was supposed to replace. It appears that the same people are responsible for Win10! Maybe Mr Gates needs to get back into “his” company and remove all of the people who appear to be making financial decisions rather than enforcing technical development. Sorry I did not detail my dual boot setup. I have an MSI G41 M4 motherboard(Intel3.1Ghz) on which I originally had Xp and Win7 loaded, each on their own 500gig hard drive and the opsys choice was/is made at the “post” part of boot up where it is possible to choose the hard drive to be booted up. When Win10 came out I wiped Xp off that hard drive, loaded win10 on to the hard drive that held win7(free upgrade) and then reloaded win7 on to the re-formatted Xp drive, using my installation disc. This worked well from about August ’15 when I loaded win10 to my laptop and my tower(both having win7 loaded) and the upgrade loaded successfully with no problems at all. When the November 15 upgrade came along, that loaded OK to my laptop(I assume, as I had updates set to auto on the laptop), however when the update loaded to the tower unit, it loaded to 80% and then would not re-boot, returning the opsys to Win7! My various efforts to re-load win 10 are noted above, but I will advise that it appeared that on re-boot, it appeared that the win10 update could not find the 100mb hidden partition that is created during installation and in looking for it, it tried to load it to the second(Win7) drive, effectively corrupting it so that even with the Win10 drive removed, it would not load win7 again, even although the MSI motherboard was designed(in 2009) to allow isolation of second drives! (see also my comments above concerning Win10 loading a 100mb opsys partition to an unused 40gig IDE hard drive which was also on the Win10 computer. Subsequently I was able to reformat both of these drives back to 465gig and re-use them, by using a third computer I had available to me. The problem on any other desktop which does not have a pre-designed motherboard to allow two opsys hard drives is that both hard drives will have an “active” partition and the only (safe) way to do this otherwise would be to physically disconnect one drive when the other is intended to be loaded. Again, please note that I was using SATA drives, which would make physical disconnection easy, as both the power and software piugs can be easily removed/connected. With no dis-respect to Andre or his post recommending creating two separate partitions, one for each opsys, until I can get to a place where I am confident that Win10 CAN load and work acceptably well through future upgrades, I would be cautious of having both win7 and win10 on the same hard drive, even if they are in separate partitions. I would also point out to you that even during the period August 15 to Nov 15 where I had been on Win10 and then went to win7, it would report disc problems on its hard drive and attempt to repair them. When I ignored these “warnings” win7 would booted up fine, as would win10, but I became suspicious that win10 was effectively “monitoring” the win7 hard drive………..one of my major complaints of 10, that it is too intrusive and requires a bit of knowledge to delete its auto-monitoring which I view as too much of a big brother attempt to intrude on my users privacy. How do you do it the otherway round. I need to install vista as a dual boot on a laptop running windows 10 ? Shrink your C: drive to make room for Vista. Install Vista to the empty space and activate it (I assume you have a key); Go back to Windows 10 and install EasyBCD. Run it and add 2nd boot drive as the new Vista partition. Do you have any thoughts on how to dual boot a Windows 10 lap top with a Macintosh OS x? I have a windows 10 system and have shrank the drive to have a 300 GB unallocated partition. I would like to dual boot my Windows 10 PC (formerly Windows 8) with the Mac OS for purposes of doing Iphone apps. Not a lot of information on the web to go this direction. Lots of info of how to put windows on a Mac but not Mac on a Windows machine, specifically a laptop. Not a novice, however info on how to 1. Dual Boot into the different operation system first 2. Then install the Mac OS onto this unallocated partition. This has been an annoying search for a dual boot option and I guess my situation is somehow unique. I mean it has to be fairly well known that all you have to do for a dual boot to with multiple OS’s is just to install the older ones first – no brainer. Sure, if you need to create disk space, then do so. Install the newer OS and windows automatically creates a boot loader to access both OS’s. Old news. My issue, is that I have an X99 chipset and after months of issues getting it to work right, I got Windows 7 working one one drive and windows 10 on another, but since I had win 7 first and install win 10 while the drive for win 7 was unplugged, I have to use the boot bypass in the BIOS to select the OS I want. So how do I setup a boot loader to access them upon booting up, with a menu as usual with the windows boot loader? Plug in both drives. Whichever OS boots by default, install easyBCD; run easyBCD and add the other OS (drive path needed). Reboot. It seems that you are saying once Windows 10 is installed the only way to add an older version of Windows to dual boot is by using a second hard drive. Is it safe to assume you are saying that once Windows 10 is installed on a hard drive it is not possible to partition and add another OS for dual booting on the same drive? I have tried many ways and find that Windows 10 will not allow another OS on the same drive regardless of portioning. There are many with this question but all of the instructions that are available refer to dual booting Windows 10 when an older Windows OS is already installed. What about the reverse for those of us who already have Windows 10 and want to add an older OS on the same drive? Apparently Microsnot is committed to extortion like all the other software companies. They can’t make their money legitimately in the free-enterprise-capitalist market, so they join an ever-growing monopoly-capitalist market that kills all free enterprise-capitalism, and then extorts the money from the unsuspecting people by FORCING THE UPGRADE PROCESS. Since we’ve become dependent upon these electronic machines to do work for us, they have an easy system within which to commit extortion. The fact is, IF MICROSNOT WANTED TO ADD MULTI-OS FUNCTIONALITY TO WINDOWS, WHICH WOULD BE VERY EASY FOR THEM TO DO, THEY WOULD OFFER A SERVICE-RELEASE W/THAT ADDED FUNCTIONALITY ON IT. But as you can see, they have not done so, and have no intentions of doing so. They are into the privacy violation business in their extortion racket. A major influencing factor in this is the foreign markets creating their own OS’s that will now compete w/Microsnot’s. If you find an answer, please let me know. My solution was buy a cheap old laptop (which is what I needed for vehicle-diagnostic work – another EXTORTION RACKET IN-AND-OF-ITSELF), and installed XP32 on it so I could use the diagnostics software. All told, it cost me less than 150 bux, b/c the OS was free, being left over from an old Dell POS ‘Precision Workstation’ that died many years ago. After I’ve completed your suggested steps, could you give me more detail on how and where I actually will see a screen from which I will make my (boot) choice? There isn’t any ‘boot manager’ software I need to install? I followed your suggestions, and have a partition D: Windows 10 installation which runs perfectly. The problem is that if Windows 7 is chosen at The boot screen there are no longer drivers available to allow the prior Windows 7 Ultimate to do anything; specifically keyboard and mouse are not recognized, and of course, no internet access for upgrades. Can I somehow safely reinstall 7 to its prior partition C: to run the one program not happy in 10? Do you mean 7 ultimate doesn’t boot at all OR boots to login screen but you cannot type anything? If it boots at all, keyboard and mouse drivers should be found locally and work. Eg just unplug and plug back in USB keyboard. Happily, I can use the past tense. The boot manager brought up Windows 10 intact and functional. Windows 7 booted, but keyboard and mouse were non-functional, with the log on screen and icons visible. No dance of other keyboards, mouses, safe mode, boot sequences worked. Using my Windows 7 OEM disk failed to offer repair of the 7 partition, when run from 10 using the disks setup.exe programs; they wanted to repair the 10 partition and appropriately said “no way”. Similarly just running 7 installation from the OEM disk considered overwriting the Windows 10 installation and eventually demurred or convinced me to stop. After redoing all the prior sttempts with online technician assistance success when the boot manager default configuration was changed from Windows 10 to 7. This did not allow repair, but at least I was able to re-install 7 on the appropriate partition, have both systems working (after 3 boots with steadily fewer chkdsk corrections which had me shaking my head). Both are again responsive to keyboard/mouse inputs and all that’s needed is 7 driver upgrades. Because windows 10 is so intrusive with XP or Windows 7 and using a dual boot, I ended up taking two SATA (power) cords and connecting them to a “A/ B” switch. (Necessary to shut down during switchover). Yep a good fix. But a warning – make sure the SATA power leads are good quality – and that the connectors at the hard disk end are not under any strain; it is VERY easy to short the SATA power terminals with poor quality connectors; and if this happens you’ll see flames+smoke and the disk will be fried; this advice applies to anybody fitting their own SATA power leads for whatever reason. I like to do a clean install of Win 10, on Win 8.1 SSD, so that I can have a dual boot of Win 7 and Win 10. I cannot afford to loose anything on Win 7. Any ideas of how to do a clean install of Win 10 on Win 8.1 only? I am running windows 7. I recently ordered a new 2TB sea gate hard drive, and windows 10 pro, Can I install windows 10 on my new hard drive and keep windows 7 on my old one? and dual boot, without problems…. I have a 6 core ADM CPU and 16 mb of ram. I have space and stalls for two more hard drives internally. Would I be able to transfer files back and forth between the two hard drives?